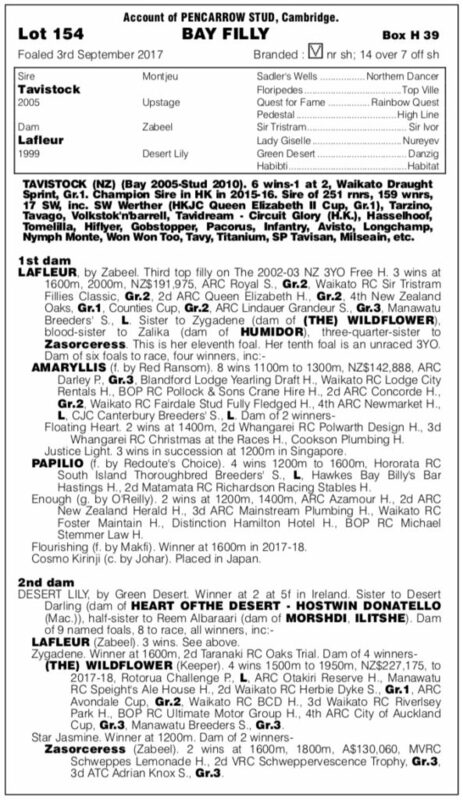 By a noted sire of (four) Derby winners, dual Group One winner Tavistock, from a hugely talented race mare (Third Top Filly on the NZ Free Handicap), Lafleur won the Sir Tristram Fillies Classic (Gr. 2, 2000m), and in turn become a top broodmare, leaving five individual winners of 17 races including a Group Three and listed winners. 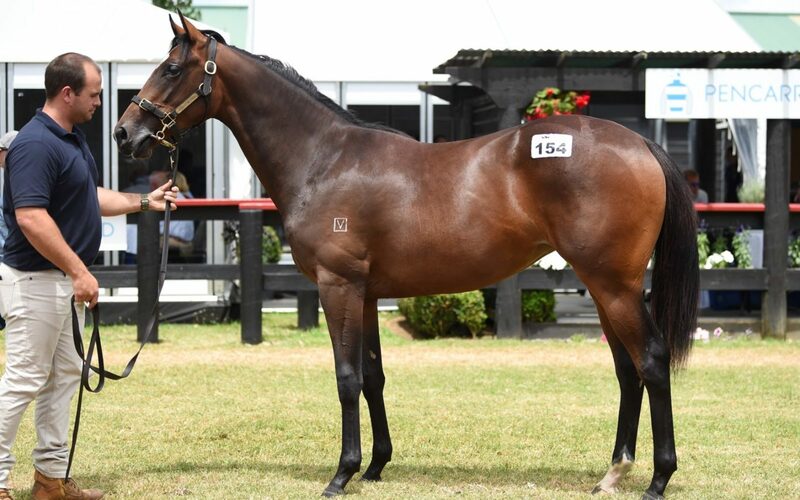 “Lafleur was a very good mare and she’s left some terrific gallopers, including Amaryllis that we trained to win eight races and Papilio that won four times,” said Te Akau principal David Ellis.